(TRAVPR.COM) SCOTLAND - August 3rd, 2017 - A second share offer for the GlenWyvis community-owned distillery (based in the Highland town of Dingwall), is being launched today with almost 350 people having already pre-registered an interest. As construction of the distillery reaches the final stages, GlenWyvis Distillery Community Benefit Society has brought forward its second share offer* to open the door to new members and will launch it today Thursday August 3rd at the Black Isle Show with a *special launch share offer prize draw will be open on the day to new investors. Commenting on overall progress to date, David O’Connor, chairman of GlenWyvis Distillery said: “These last few weeks have really seen great change on site, as the exterior walls have gone up, the stills and mash tun delivered, and adverts for the distillery manager and visitor centre development officer making it all very tangible now. GlenWyvis already has some 2,600 members who invested in the original share offer in 2016 and this new share offer opportunity capitalises on continued interest from locals and visitors alike. The minimum investment will be £250 for all investors and supporters will also be able to pay extra to have their name added to the distillery wall or the ‘path to the stills’. The initial target of £750,000 will help to bring forward the distillery’s development plans in line with feedback received from members in a recent survey. This will include extending the GlenWyvis brand and product offering, bringing gin distilling into Dingwall, and further development of the GlenWyvis visitor experience in and around the town. Simon Walker, Head of Campaigns at crowdfunder.co.uk said: "The GlenWyvis Distillery is a truly unique project to create the world’s first 100% community-owned whisky distillery. Following last year’s successful crowdfunding campaign with over £2.5million raised, we're delighted that the team has decided to use crowdfunder.co.uk once again to help kick-off the next phase of funding. Further support has also come from Community Shares Scotland and commenting on the next offer Sandra Macaskill, CSS programme officer, said: “We are delighted to be able to support GlenWyvis for a second time, as the next crucial stages get underway. It has been a very engaging community project to date, bringing a significant boost to the Dingwall area, especially now the distillery build and staffing are well underway. It has also given others a great example of a successful community share offer and inspiration for future projects considering funding this way." 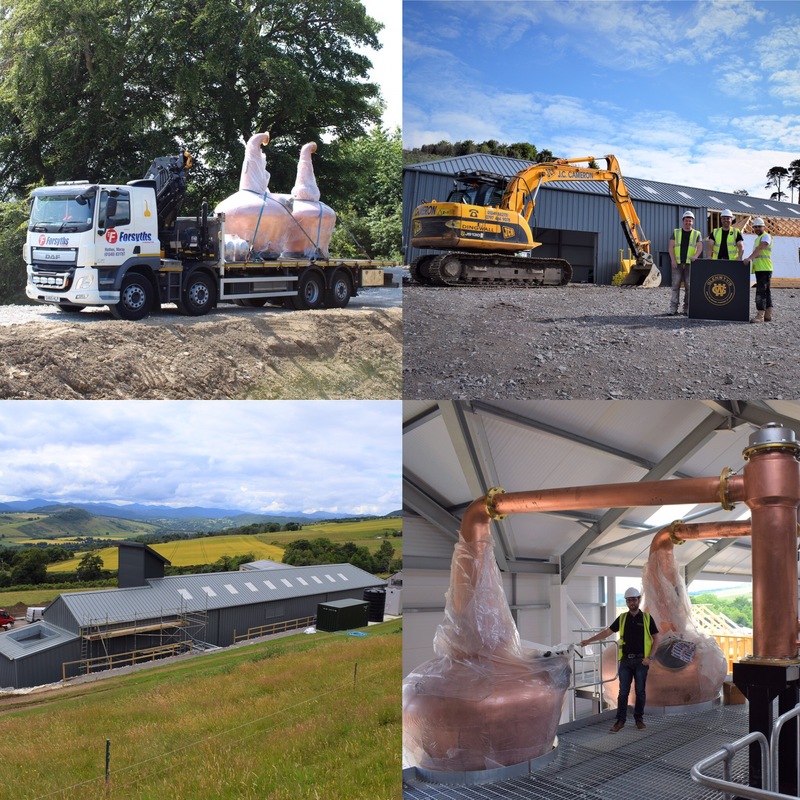 Full details of the open share offer, naming options and Thursday’s prize draw* are available on the GlenWyvis Distillery website at www.glenwyvis.com. Investment can be made online via www.crowdfunder.co.uk or www.glenwyvis.com from 10.00am on Thursday 3rd August. Image: Josh Fraser, office manager beside new still. The second share offer launch will include a prize draw with opportunities to win the following prizes, but only if investment is made on Thursday 3rd August. Twenty minute GlenWyvis whisky heritage tour on 21st, 22nd, 28th or 29th October. Second Prize: 700ml bottle of GlenWyvis Highland Inspiration malt whisky. Third Prize: 700ml bottle of GlenWyvis Gin. For £30 – add a name to the Friend’s Wall in the distillery. For £50 – add a personalised stone to The Path to The Stills. Gift options also available. See www.glenwyvis.com for full T&Cs. Second Prize: 200ml bottle of GlenWyvis Gin. Third Prize: 50ml bottle of GlenWyvis Gin.